Posted 13 May 2009 by Richard & filed under A Short history of Technical Education. The first two chapters attempted to set the scene and identify and summarise the issues and factors that have dominated and bedevilled the development of technical and vocational education. They will continue to be highlighted throughout this history. One of the fascinating and recurring aspects in researching the topic is the fact that a number of innovative initiatives prior to and during the first Industrial Revolution were associated with a few farsighted individuals and so often isolated and fragmented in geographical terms and as a result did not possess sufficient critical mass to have a lasting impact. In addition many of the initiatives were associated with private generosity and municipal pride and patriotism, Many of these initiatives will be described in later chapters and in some cases more fully discussed in the biographies in Appendix 4. As mentioned in earlier chapters before the age of mechanisation and the controlled exploitation of steam to drive machinery all artefacts were hand made. What machines existed exploited the elements e.g. wind and waterpower drove windmills and water wheels to grind corn and irrigate fields. Manually operated they were associated with rural cottage industries such as spinning and weaving. The techniques used were handed down generation by generation. Agriculture was the main occupation and craftspeople worked alone or in small communities. As mentioned in chapter 2 evidence now exists that industrial development occurred at earlier times both in Britain and Europe than the first industrial revolution. For example in the 13th century water–owered mills were used widely in the woollen-cloth industries and from the mid-16th to the mid-17th centuries greater use was made of coal in such industries as metal smelting. In the time before the Industrial Revolution technical education was based on the apprenticeship system and largely managed by the Craft Guilds. To continue to set the scene the following sections will describe the work of the Guilds and the purpose and operation of the Apprenticeships. The Craft Guilds – Livery Companies and Apprenticeships. The craft guilds reached their apogee of power and influence during the 13th and 14th centuries both in Europe and England being solely responsible for the organisation of labour and the standards of the craft and trade skills in their particular area or locality. Guilds developed across the country both in rural and urban areas represented particular crafts and trades say in bricklaying, joinery, shipbuilding and a host of other crafts and trades associated with agricultuture, manufacturing and industrial processes. The craft guilds were very dependent on the authority of the municipal or town governance and at times patronage. Most craft guilds were established on the authority of the town major the major also being the chief magistrate who constantly revised the rules in the best interest of the townspeople As the number of Guilds increased various demarcation disputes arose e.g. between the cordwainers, the saddlers and the tanners. Other disputes occurred about the exact range of the authority exercised by each guild particular where the crafts and trades were similar and this often reflected badly on the Guilds and its overall management. The organisation of a Guild was precisely defined into three hierarchical categories or classes: namely the livery, the freeman and the apprentice. At this time members of the guilds were exclusively male hence the terminology. The liveries were people who had established businesses and it was from this category that the Master, the Wardens and the Court of Assistants were elected. They were totally responsible for the organisation and management of a particular guild including the supervising the apprenticeships, setting judging their standards and setting of prices and wages. The next category was the freemen who were bound absolutely to a guild and were referred to as the journeymen craftsmen. The final category comprised the apprentices or trainees who were bound or indentured to a master craftsman for seven years. The apprenticeships were overseen during this period by the Court who made certain the apprentice received effective training and acquired the appropriate skills for the particular craft and trade and was well treated. The apprentice at the end of his training was required to present his masterpiece to the Wardens, this being a piece of work to justify that he had mastered his craft. The Guilds by maintaining high standards and wages limited any possible competition from beyond the City boundaries. Although the methods of the Guilds were often perceived as autocratic they established good standards at a time when England was primarily a rural country comprising craftsmen, farmers, labourers, landowners, and shopkeepers. One characteristic that the majority of the guilds possessed was the service to the local community. In Medieval times production and trade was based on two fundamental principles namely ‘service to the local community and a reasonable profit’. Where the guildsman sold products abroad they could not make greater profits again reinforcing the principle that the needs of the local community were paramount. The system worked well until the coming of increased use of steam power and the emerging factory system that required a new set of methods of training as people migrated to the cities and away from rural communities. The advent of industrialisation, mass production and the factory system in Britain brought about the demise of the craft apprenticeship system and it is interesting to note this did not happen in Germany. This resulted in the gradual decline of the Guilds as the factor system developed. This transition highlighted the need to raise awareness of the application of scientific ideas to industry and as a result created the rudimentary beginnings of technical and vocational education. The decline of the old apprenticeship in England was greatest during the last quarter of the 18th century and the early part of the 19th century. (The Guilds continue today though they have become more diversified supporting their respective crafts and trades in a number of ways. The Worshipful Company of Goldsmiths, almost uniquely, continues to offer very high quality apprenticeship programmes where the apprentices are still managed by a master. Recently the City and Guilds Institute of London (CGLI) recognised the high standards set by the apprenticeship programme and the resulting artefacts by accrediting the Company for its Senior Awards). Masters increasingly took on apprenticeships without any written contract or indenture – presumably to keep wages low? Many trades did not stipulate the length of the apprenticeships and Masters increasingly took on too many apprentices whom they could not properly manage In many trades binding enforcement of an agreed period of time for a journeyman to serve was not enacted. This shows yet again that no effective provision had been made for the implementation and monitoring of the Statute of Artificer. As a result of the repeal of the Statute no legal requirements then existed for any training e.g. no defined periods of training were stipulated and this is where the emerging trade union movement began to be involved in the training of more skilled crafts and trades. The trade unions that grow up in the mid-19th century began to establish arrangements for such aspects as the period of training and recruitment of apprentices in a number of trades. The unions established libraries in conjunction with other movements e.g. Mutual Societies. The trade unions began to fill the gaps created following the repeal of the Statute. The trade unions have since maintained an interest and commitment to technical and vocational education and training and have been represented on committees and development groups associated with this important area of the education system. The trade unions were able to maintain the standards of workers in a range o trades and crafts. However a number of guilds continued to operate apprenticeship programmes based on traditional lines and some even today adhere to the indenture and vigorous and high quality training regimes. A good example is the Goldsmiths’ Company which even now is establishing its own college to further enhance the skills of its apprentices. Most of the apprentices during these times were male with only a very few programmes such as embroidery and silk-weaving for females – yet another sad reflection of the traditional view of the role of the female in society and work. The issue of gender and occupation stereotyping still persists today. The ages of apprentices ranged between 14 and 21 and on successful completion of the apprenticeship they became master craftsmen. A typical apprenticeship lasted seven years in England. The period of the apprenticeship on the continent was three years but much greater importance and emphasis was placed on the period and purpose of the journeyman stage in Europe i.e. the period after finishing the apprenticeship and the additional experience and skills acquired before applying to become a master. In England apprenticeships had a long tradition initially resulting from the consequences of the Poor Laws and the later factory Acts that attempted to legislate that young people received training in order to enter meaningful employment and to reduce the likelihood of becoming exploited by employers or drifting into criminal pursuits. The later Factory Acts introduced better working conditions for young people and progressively raised the age limits for entering employment. For example the first Factory Act in 1802 introduced the concept of compulsory attendance at school during part of the week but the lack of a national system at the time made this legislation rather ineffective. Again an example of ineffective implementation and monitoring of legislation particularly in the area of employment practice and the area of technical education and training. Later education and factory Acts were more far more effective as a national system of elementary and secondary school education developed in the 19th and 20th centuries. This coupled with the successive raising of the school leaving age reduce the exploitation of child labour and a greater commitment to education and training gradually developed. Following the successful completion of the seven period of the apprenticeship the apprentice would be granted the rank of a journeyman and the documents issued to him entitled him to travel and gain more experience in his chosen craft or trade. The documents included certificates issued by the Master and/or the guild. The term journeyman has its origins in the French word journee meaning ‘one day’. This meant that he could request a fee for a day’s work. A journeyman was a tradesman or craftsman who although he had successfully completed an apprenticeship could not employ other workers. They were often called jack or knave and this is where the expression “jack of all trades master of none” comes from. Because of limited resources many journeyman in medieval England could not afford to establish their own workshops and in many cases would remain employees of other enterprises. In Europe a journeyman, (Geselle), would travel extensively working in different workshops and locations in order to develop greater experience and skills in this particular craft or trade and this would increase their chances of becoming a master in their craft or trade. After several years of travelling and gaining experience the journeyman could apply to the Guild to become a Master. This journeyman phase comprised two stages. In the first stage the journeyman would operate as a day worker for typically five years followed by a period of travelling lasting another three years during which time he would wear a distinctive scarf. Approval for his application required the agreement of all the Masters of the relevant guild, a financial donation and/or additional goods, and where appropriate for the particular craft, a masterpiece. In England the journeyman stage was less precisely defined in terms of the period and many crafts and trades did not require the submission of a masterpiece. It is interesting to note how differently the apprenticeship systems operated in England and the Continent. Since the Industrial Revolution and with the developing system of technical education institutions, employers gradually became more reluctant to impart their knowledge and skills directly to young people and increasingly delegated that training to educational institutions. In fact a number of commentators have argued that the demise of the traditional apprenticeship ushered in the beginnings of technical education. Sadly employers have often seen skill acquisition as a cost requiring as it does investment of resources and resultant loss of profit that often the employer does not want to give away to other employer and competitors! Many employers also were afraid of poaching of their trained employees by their competitors. Since the mid-19th century the model that emerged combined work based training, (on job training), and attendance at a local technical institute, (off job training). It is the challenge of achieving the correct balance of the work based training with the theoretical aspects taught in the educational institution that still has not been realised in England. Following the repeal of the Statute of Artificers until the mid-20th century the concept and purpose of the apprenticeship has been continually modified to address the ongoing concerns of juvenile labour including periods of high youth unemployment. A recurring theme is the need to offer training and basic education to young people to combat ignorance and to attempt to deal with skills shortages and gaps in the workforce. One continuing problem is often associated with poor literacy and numeracy skills and scientific illiteracy especially with school leavers. I will consider how the apprenticeship model has changed since the 18th century in later chapters as well as a separate chapter on the most recent attempts by government’s to develop more effective programmes associated with work based learning including apprenticeships. The current governments approach is a classic example of ill- conceived and muddled thinking with little regard to historical good practice where it existed but more of that later! Political and historical amnesia is sadly a recurring characteristic of successive governments when planning developments in technical and vocational education. 1880. 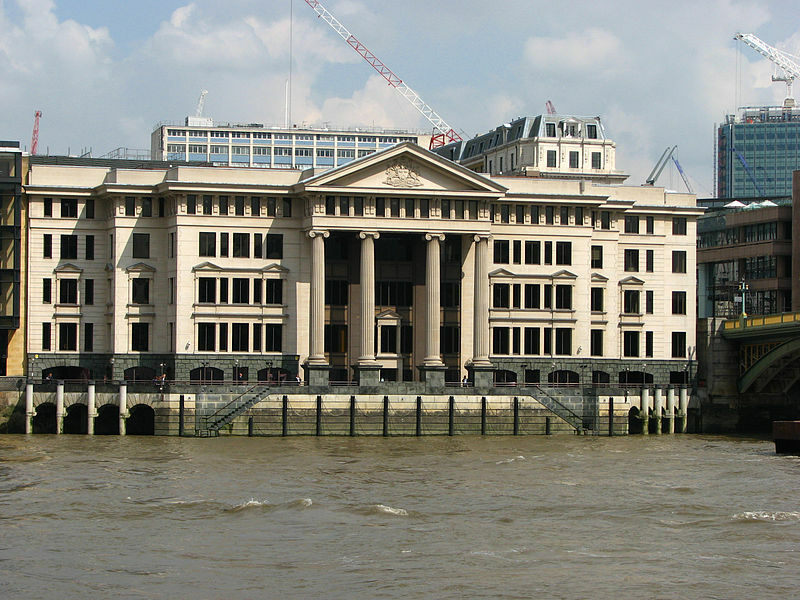 Two Royal Commission reports investigated the conduct of the City of London Livery Companies. One report advocated their abolition whilst the second argued for their continuation. The reports most certainly fired up many of the Companies who developed more effective and proactive approaches and initiatives especially focussed on technical education. The reports identified a number of concerns including the lack of accountability and the Guilds relative insularity and lack of real commitment to education and training. 1966. The Company established the Technical Advisory Committee to offer technical assistance to the trade. * It was not until 1880 that the educational association established by the 14 founding Livery Companies was officially incorporated under the Company Acts as the City and Guilds of London Institute for the Advancement of Technical Education (CGLI). 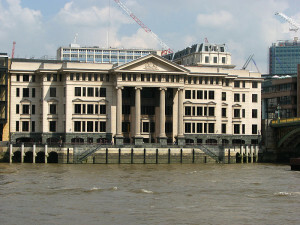 The original meeting occurred on 11th November 1878 at the Mercers’ Hall that brought about the CGLI. At incorporation there were 17 founders namely the Corporation and 16 Companies. The companies were: Armourers, Brasiers, Carpenters, Clothworkers, Coopers, Cordwainers, Drapers, Dyers, Fishmongers Goldsmiths, Ironmongers, Leathersellers, Mercers, Needlemakers, Pewterers, Plaisterers and Salters. I will describe more fully the history of CGLI in a later chapter. It is interesting to compare the different reasons for the foundation of the Goldsmiths and Birkbeck colleges. Birkbeck College was founded on the earlier Mechanics’ Institution movement based on democratic ‘self help principles’ whilst the Goldsmiths College was founded in order for England to complete more effectively from competition from the Continent. I will consider the Mechanics’ Institution movement much more fully in Chapter 5. A typical indenture is shown below. 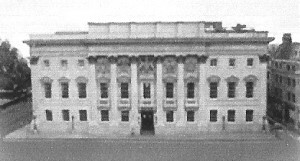 It is still used by the Worshipful Company of Goldsmiths’ now more commonly known as The Goldsmiths’ Company. It makes fascinating reading and indicates the high standards expected of the apprentice and the Master. Although as time progressed after the repeal of the Statute these were not always honoured by many masters and guilds. Note the emphasis on the need to maintain standards and good behaviour and one wonders how the Company checks these aspects out? The next chapter will consider other educational movements and societies involved in disseminating scientific and technical knowledge and skills in the period before and during the Industrial Revolution. Cunningham. W and McArthur. E. A. ‘Outlines of English Industrial History.’ CUP. 1904. Cunningham. W. ‘The Growth of English Industry and Commerce in Modern Times.’ CUP. 1892. Peters. A.J. ‘British Further Education.’Pergamon Press1967. Webb. S and Webb. B. ‘The History of Trade Unionism.’ Longmans, Green and Co. 1911. Williams. G. ‘Recruitment to Skilled Trades.’ RKP. 1957. Wilson. C. ‘England’s Apprenticeship 1603-1763.’ Longman, Green and Co. Ltd. 1965. A more comprehensive book list is provided in a separate section of this website.